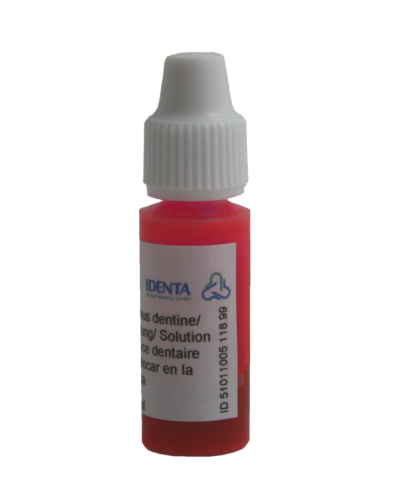 IDENTA Caries Marker contains a colour indicator (acid red) to mark infected, carious dentine. The IDENTA Caries Marker enables the visual control of carious areas. Healthy as well as uninfected, remineralized dentine does not turn enabling a gentle excavation. If possible, uninfected (not dyed) dentine should be preserved.